Smith Corona, also known as SCM or LC Smith, began manufacturing typewriters in the late 1800’s, and they are still in the typewriter business today. They started with the manual typebar typewriter, and then they added an electric motor and presto! They introduced their version of the electric typewriter in 1955, followed by the electric portable typewriter in 1957. The full-sized electric typewriter was in direct competition with the IBM typewriter and lost the race, but the SCM portable typewriter became America’s favorite typewriter. When electronic typewriters were introduced, Smith Corona continued to be the leader in the portable typewriter industry with their Typetronic and Memory-Correct models. Typewriters with daisy wheels or printwheels that offered self-correction features were the most amazing thing that typists had ever seen, and Smith Corona kept on going. Through the years, Smith Corona developed new ways to improve the ease of operating their typewriters, including the introduction of the power carriage return in 1960, and the first removable cartridge ribbon in 1973. In 1985, the Smith Corona Personal Word Processor debuted. Personal Word Processors allowed the typist to store their documents and reprint with just one keystroke. They offered memory storage just like a computer but could easily be used as a simple typewriter that was always convenient and easy to operate. They continued to manufacture their own machines until they could no longer compete with imports and they started offering foreign electronic typewriters under the SCM or Smith Corona brand. Changing typewriter ribbon manufacturers has created problems for typewriter owners in selecting the correct supplies for their machine, because the supply manufacturer is unknown. This page was created to assist Smith Corona Typewriter owners that need additional information to find the correct printwheel, daisywheel, lift-off correction tape, correctable film ribbon, old spool ribbon, cartridge ribbon, and other supplies for their Smith Corona Typewriter. This is a ½ inch wide, black, or black and red, nylon ribbon on a 2 3/8” diameter spool. This ribbon fits the early LC Smith and SCM Standard Office Typewriter. This nylon ribbon set the bar for many early typewriters both standard upright, and portable. The ribbon is ½” wide and available in black, black and red, or black and white, on a 2” diameter spool. Some of the models that use this ribbon are Smith Corona Super Sterling, Electra, Galaxie, Sears, and more. This nylon ribbon is ½” wide, available in black, black and red, or black and white, on a 1 1/2” diameter spool. Some of the models that use this ribbon are Super Sterling, Skywriter, Zephyr, and more. This was Smith Corona’s cartridge ribbon for the first Ultrasonic and Typetronic electronic typewriters introduced by SCM. It was manufactured in nylon fabric, correctable film, or one time film and can be used with cover up correction spool or lift off correction spool as illustrated next. This correction spool covers up mistakes on all types of paper for the Smith Corona Ultrasonic and Typetronic Typewriters. This correction spool only works with the Correctable film ribbon for the Ultrasonic and Typetronic Typewriters. This side loading cartridge ribbon is used in models Coronomatic, 2200, 2100, 2500, 7000, 8000, and more. These old time Cover-Up Correction Tabs work with all typewriter ribbons. 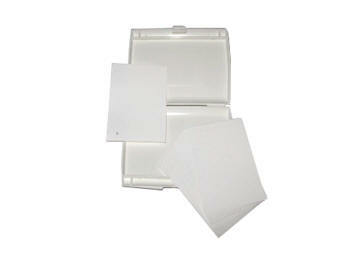 They are great to use with the Smith Corona Nylon Ribbon. They are comparable with today’s white out products, but made to quickly correct typewriter errors. Cover-Up Tabs are easy to use and do not leave a mess to clean inside your typewriter. 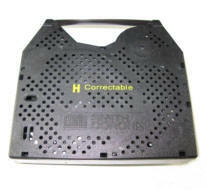 The H Series Correctable Film Cartridge Typewriter Ribbon is Smith Corona's best seller. There are no ribbons to compare with the quality of the Smith Corona Brand. These ribbons fit many different electronic typewriter and word processor models. Some use the cartridge lift-off correction tape and some use the lift-Off correcting tape spools. Smith Corona Lift-off Correcting Cassettes are used in many of the "H Series" Typewriters. Lift-Off Correcting Cassettes make changing correction ribbons fast and easy. 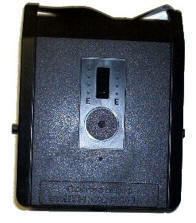 For use with Correctable Film Black Ribbon H Series Ribbon Cassettes only. Smith Corona Lift-off Correcting Tape Spools are used in many of the "H Series" Typewriters. 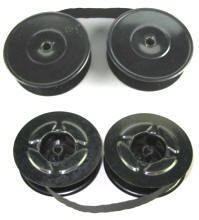 Smith Corona Genuine Brand Lift-Off Correcting Tape Spools are designed to lift off errors quickly and cleanly. 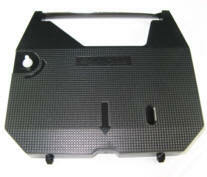 For use with Correctable Film Black Ribbon H Series Ribbon Cartridge only. The most recent typewriter made by Smith Corona is the popular Wordsmith. Genuine Smith Corona Brand. Correctable Film Black Ribbons give you unmatched sharpness and clarity for printed text. The generic ribbons produced just don't compare. K Series Smith Corona Lift-Off Correcting Tape Spools lift off errors quickly and cleanly. Use only with genuine K Series Correctable Film Black Ribbon Cartridge.